Pangbourne 10 October 2018: A ‘Mobile Choice Consumer Awards winner’ for Best Repair Service, retail brand TechHouse, which currently operates online and through four stores in greater London, has upgraded to Futura’s real-time EPoS and HO retail management system. This will help to streamline retail processes and stock control in one intelligent, fully integrated system to support continued business growth, greater management control and a seamless omnichannel customer experience in-store and online. 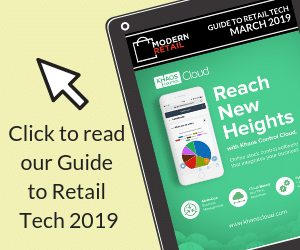 Bringing together stores and online sales in one retail management system to deliver a single real-time view of stock, sales and customer data from anywhere in the business, was a key requirement for TechHouse. Alongside its successful same-day smart phone repair service, the company sells a range of phones and accessories plus technology and gadgets for the connected home. Adrian Lance, TechHouse financial director said: “From our shortlist of retail management systems Futura was clearly the best fit for our business providing a flexible, intuitive and scalable solution together with the support and backup we need. Hardware independence is especially beneficial allowing us to retain our existing PCs and tills in same-day branch, which staff already know. Development and implementation work which has taken just 11 weeks has included full integration with the company’s e-commerce provider using standard Futura APIs allowing all ordering, item creation, fulfilment and reporting to be managed centrally from one system. In addition, system modifications and in particular specific data capture requirements have enabled TechHouse to offer a brand-new service, buying in used mobile phones from customers, which are then refurbished for later resale. Futura’s is also fully integrated same-day the Mailchimp email marketing solution and supports yReceipts at the till, enabling custom email receipts with integrated transaction-based marketing. Tech House also purchased Futura4Analyser, an additional business intelligence module, providing more in-depth analysis and management information than standard reporting. same-day includes trade pack reports and management dashboards providing at-a-glance performance information with the opportunity to drill down and fully understand performance detail. For example, which stock items or categories are performing best, where to optimise stock levels on more popular ranges, gross profit analysis and even sales commissions, which wasn’t possible in the previous system. Using Futura4Data, TechHouse can create many new lines much faster and with Futura merchandising tools, they now have increased control of where best to send stock and real-time visibility of what is selling.